Danyelle Hillman ‘99 was at choir practice on campus one night in 1995 when an Auburn cheerleader came in to speak to the group. She told them that they were looking for new team members, but what really sparked Hillman’s curiosity was when the cheerleader mentioned that there had never been an African American female cheerleader on the team, only one male in the 70’s. Next thing she knew, Hillman was going through the three-day tryout process, making the cut each day until the final callouts when she heard her name. 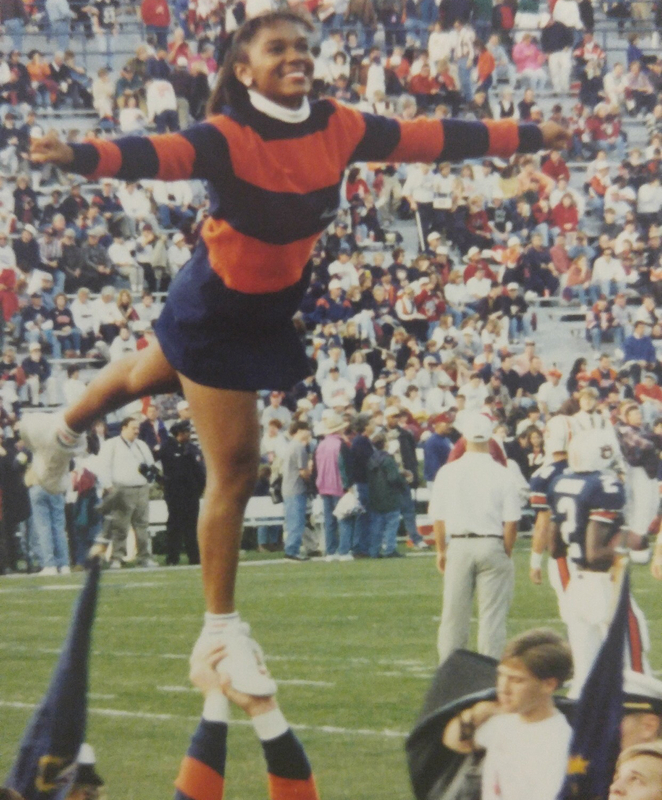 Hillman made history that football season as she became the first African American female to cheer for Auburn. As a small-town girl from Russellville, Ala., she was nervous to cheer in front of 83,000 people in the stadium. She even had a classmate tell her he watched her during each game to make sure she didn’t fall. Despite the what-ifs, Hillman made it through the year, cheering for football and basketball with her team by her side. Though she treasures her time on the team, it did take a toll on her. Hillman said after her year on the team, she had to buckle down and remember that she came to Auburn to get an education. When she graduated in 1999 with a Bachelor’s Degree in Marketing, she attended the University of North Alabama for a year in their 5th-year program. After finishing that, she put her degree to good use in the marketing department of a local bank. others. Though she was a full-time worker and mom, she made her dreams come true with the help of Distance Learning. She earned her Masters of Education Degree in Secondary Education and the next year started teaching at Muscle Shoals High School, where she has been ever since 2007. 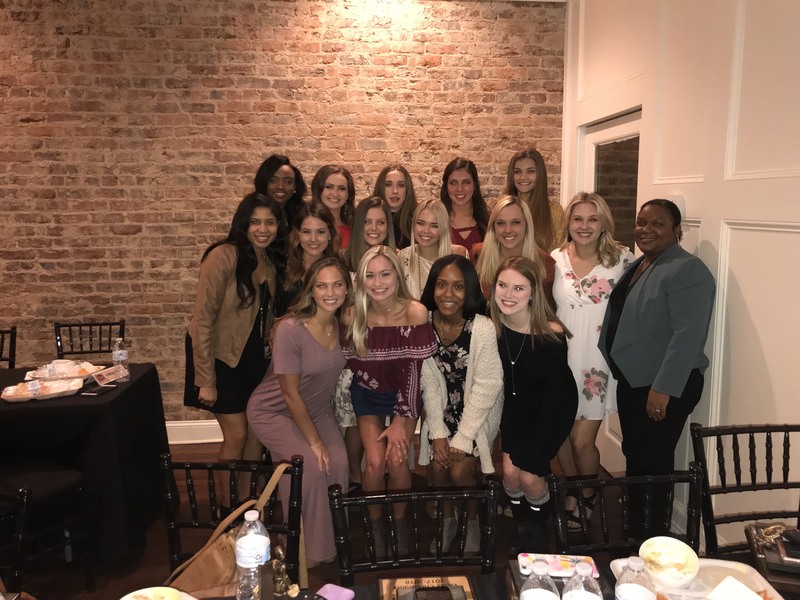 Hillman still uses all of the skills and knowledge she learned at Auburn to this day, as she teachers business and marketing and coaches the cheerleading team.